Girls should start with their regular street shoe size to a half size larger. Boys should start a half size to a full size larger than their regular street shoe size. The shoes should feel snug with your toes flat and near the end of the shoe. The shoe will mold to your foot and leather styled shoes will stretch a half size with wear. To ensure that the shoes are supportive of your foot and ankle, a snug fit is recommended. Bunny hop full sole leather balet slippers for girls by Bloch. 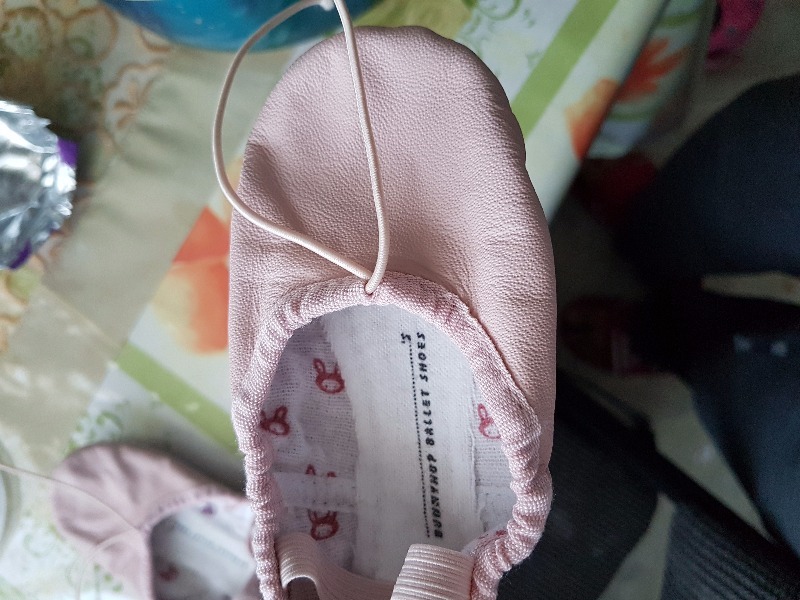 An excellent student ballet slipper. The slipper features a full leather outsole and insole. It also includes a full sole and elastic attached over the instep. 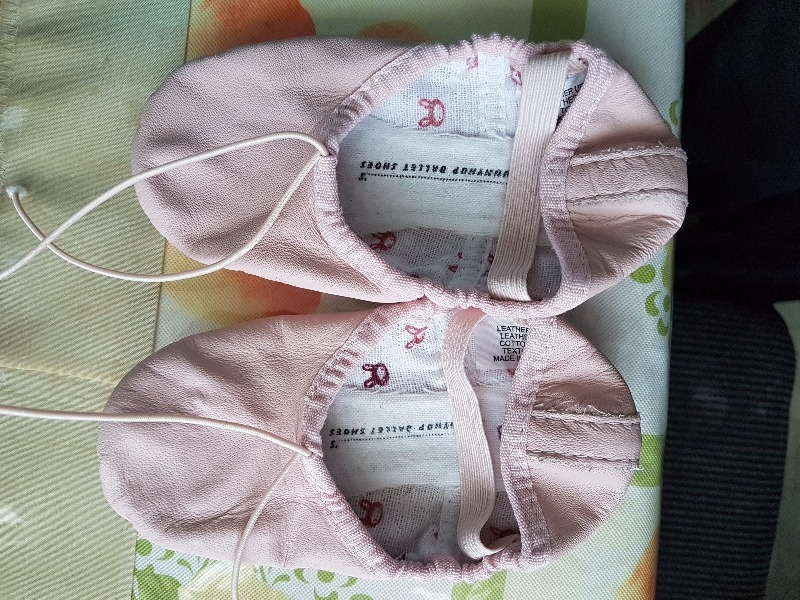 The upper leather is light pink and is complimented by a soft down lining for comfort. The inner lining features a Bunny Hop design print. That smell of genuine leather.... priceless and not a stitch out of line, absolutely splendid! Quick shipping and fits my daughter perfectly. Daughter loves the shoes! They came fast, appreciated the box it came in. Amazing little dance shoes. Perfect fit, but went up a size when ordering Colour is soft pink leather. Fast delivery service! Thanks for making a grandchild happy to dance at just 14 months! My daughter put it on right away when she saw it. Love the colour. Fit her like a glove. Can’t wait for dance classes to start so she can test them out!